Niacinamide provides 500 mg of niacinamide per capsule. 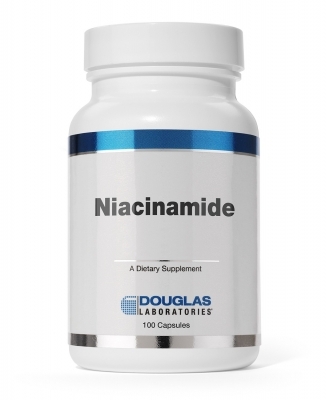 Dietary niacin can be obtained from niacinamide, an amide of niacin, which is typically well tolerated and not associated with causing a “flushing ” reaction. 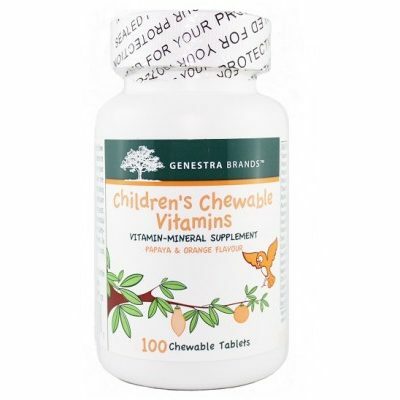 500mg, 100capsules. 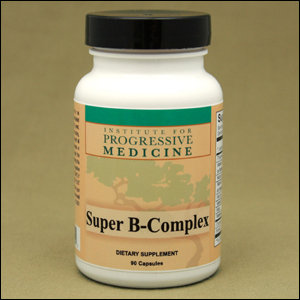 Vitamin B3 occurs naturally in the body in two forms, niacin (nicotinic acid) and niacinamide (nicotinamide). Niacinamide can be made from niacin in the body. 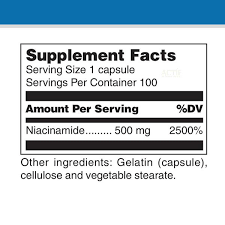 Niacin supplementation in amounts greater than what is needed by the body may result in the niacin “flush”. Niacinamide performs most of the essential biochemical functions of niacin and helps to avoid its deficiency. Large doses of niacinamide do not typically cause vasodilation or “flushing”. Vitamin B3 is a precursor to the metabolically active coenzymes, NAD (nicotinamide adenine dinucleotide) and NADP (NAD phosphate). NAD and NADP have pervasive roles in the electron-transport chain and oxidation-reduction reactions. 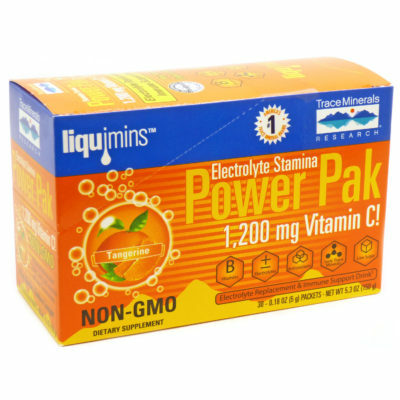 At least 200 enzymes depend on these vitamin B3 cofactors. In vivo studies indicate niacinamide plays a key role in cellular energy and enhancement of energy-dependent cellular functions such as DNA restoration. Independent of its functions as NAD or NADP, niacinamide may support healthy skin and joints, and the proper metabolism of glucose.